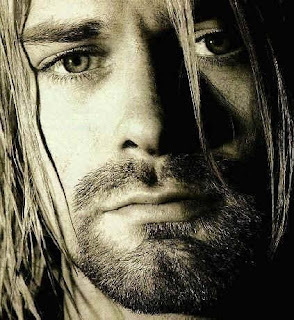 Life Beyond the Village: Kurt Cobain put a bullet in his head 15 years ago today. I remember I was in Disneyland when this happened and I never knew he was saying "oh denial" at the end of that song! See how informative your blog is! I don't think I sing the right words to any song. It's a confusing song lyrically. I had to read through the lyrics sheet a few times to get it all down. Um, yeah, I read lyric sheets. Nerd alert!